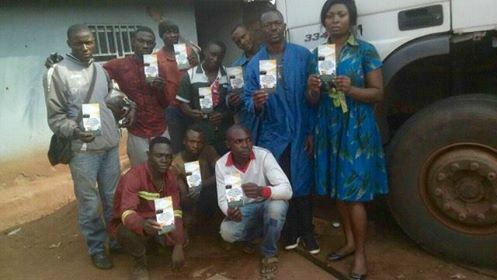 In February and March 2017, IBJ conducted an ambitious campaign in Cameroon designed to raise awareness about human rights, criminal procedure and the functioning of the justice system. The program was carried out in the context of IBJ’s Torture Prevention Program in Francophone Africa supported by the Government of Canada. The Cameroonian NGO Advocacy Group, which is led by IBJ JusticeMakers Fellow Yvon Mabofe, implemented the project on IBJ’s behalf. A radio show called “La Minute du Droit” (The Minute of Rights) which ran twice a week for four weeks on the station Radio Campus. Each week had a particular theme: arrest (Week 1), interrogation (Week 2), the right to a lawyer (Week 3), and the functioning of the criminal justice system (Week 4). 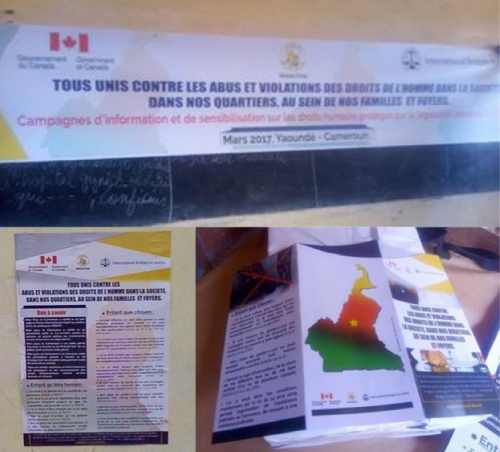 3 community rights awareness events explaining the same four themes – the procedure of arrest, interrogation, the right to a lawyer, and the functioning of the criminal justice system – at several Cameroonian schools, universities, small businesses and government administrations. 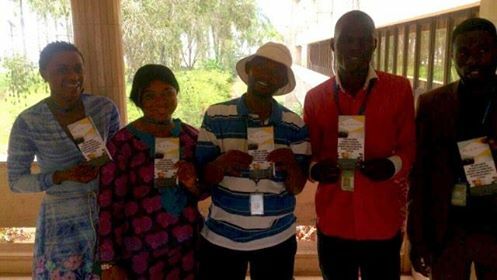 Experts from the Cameroon Bar Association, the University of Yaoundé II, journalists, opinion leaders, and human right experts made valuable contributions both to the radio show and to the community rights awareness events. With a diverse range of organizers and participants, the campaign engaged over 2 million people, especially youth. 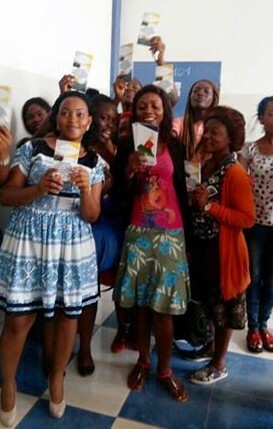 Over 85,000 students listened to the radio show, and information sessions were held for students from the Lycée bilingue d’Ekounou, Siantou University and the University of Yaoundé. Both the radio show and the community awareness events generated significant interest, particularly among women and educational institutes. Want to listen to the radio show firsthand? You can now listen to the 8 emissions of The Minute of Rights directly on the IBJ website! Chamberlin, journalist at Radio Campus.